It’s that time of year again, deciduous trees are showing off their beautiful colours in our gardens and throughout the streets. Leaves are falling onto the ground and telling us that winter is now upon us. Many people dread the outcome that winter has on their gardens where trees are left bare, leaves build up over the pavement which can result in mould and all other sorts of grime and build-up. Many gardens look their best in spring and early summer and often look quite gloomy and unusable throughout winter, but it doesn’t have to be this way. There are many beautiful trees and plants that have colour throughout the winter months. 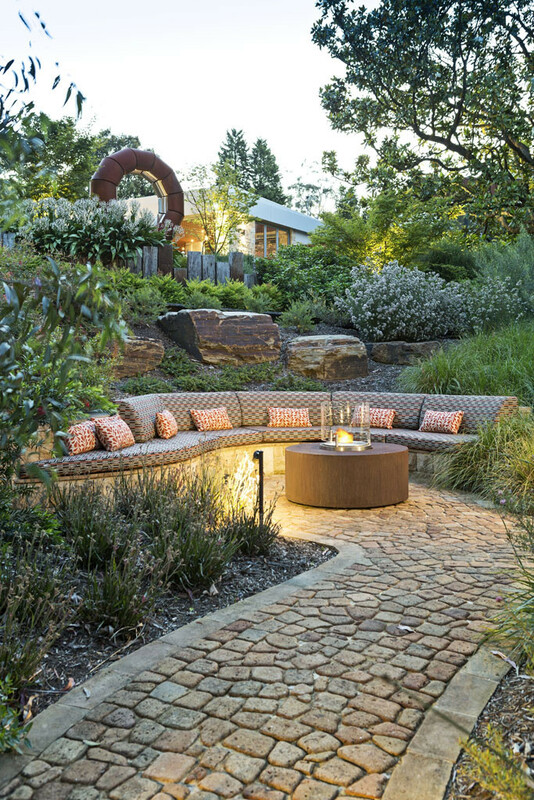 A good design will always incorporate plantings to suit all seasons. I myself love deciduous trees and the colours they provide in the landscape. The red or yellow from an ornamental pear, all depending upon the direction it faces and the amount of sunlight received. I also love the emptiness that results from deciduous trees loosing their leaves as it lets the winter sunlight penetrate through to the under growth, allowing it to flourish. Winter is also a terrific time to be around a fire. If you don’t already have a fire pit in your garden, it’s definitely something worth thinking about, especially heading into winter. It’s a simple and easy thing to incorporate into most designs and it doesn’t need to be anything too extravagant or expensive. Lawns often become quite boggy through the wetter months, which can be due to insufficient drainage or compaction. Leading into winter it can sometimes be a good idea to air rate your lawn. There are machines that can be hired/purchased, however you can also use a garden fork, depending on how much surface area you need to cover. Sometimes I find it inspiring to spend some time walking around my favourite nurseries, keeping an eye out for any new plant species and also observing what plants are doing at different times of the year. 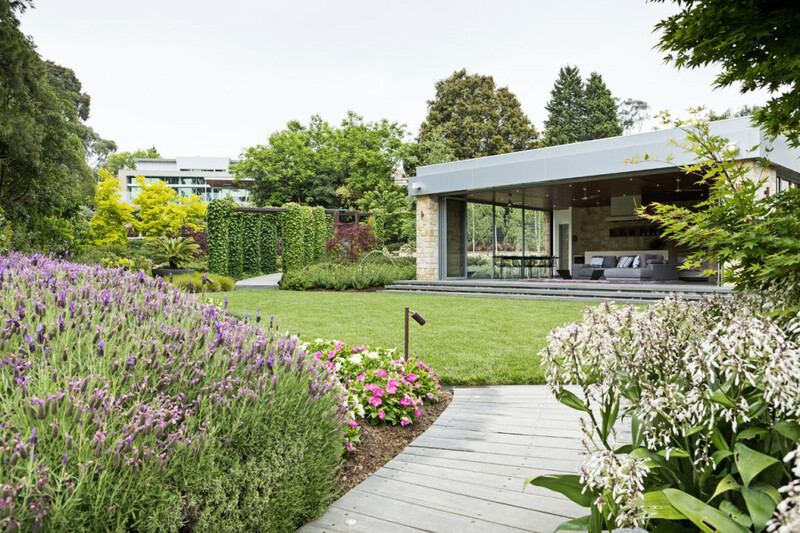 If you’re using a professional to design or construct your backyard, they will be able to choose the plants for you so that you’re getting the most out of your garden for each season. If you’re doing a DIY job, talk to your local nursery about what you’re trying to achieve and what plants will help you to get there. Don’t be afraid of making a mistake, I’ve often planted out my own gardens and then decided to move something the following year. Also don’t feel that you need to plant everything at once, sometimes it’s nice to watch something grow for a period of time before deciding what you want to plant beneath or next to it. It’s also important to keep garden beds clean of leaf build up this time of year. A small amount won’t hurt, but leaves on mass and when they’re wet, have a blanket effect, which can result in smothering of any under planting. Transplanting and pruning are also best during winter as most plants, especially deciduous are dormant through winter so will not get stressed and have a much better survival rate.